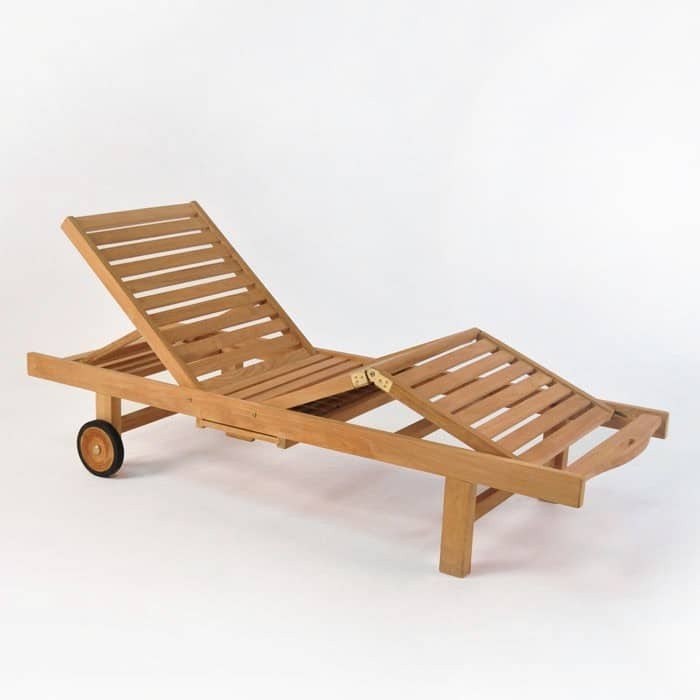 Serious mobility and adjustment are key characteristics of this teak sun lounger. 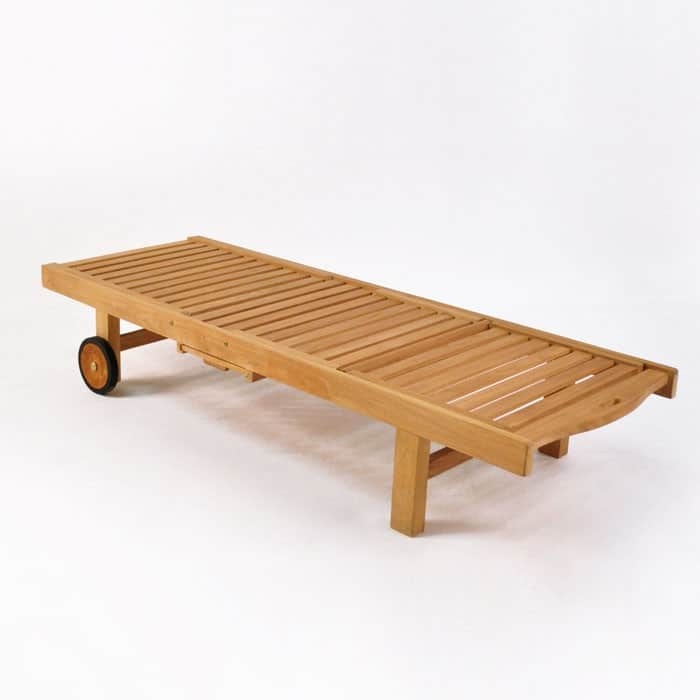 Made from premium A-grade teak, this sun lounger is finished with brass hardware for the many pivot points and joints, giving it a classic look. The sunbed is flat at rest and offers an adjustable back, as well as adjustability under the legs and wheels for easy re-positioning. There is a slide out drink tray that offers just a bit more opportunity for relaxation and adds to the total functionality. 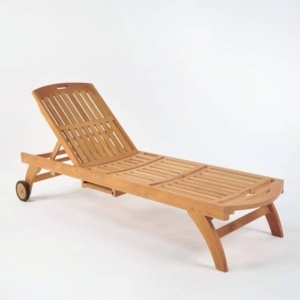 A classic style and understated looks highlights the beauty of the wood and the true versatility of this sun lounger. Sunbrella cushions are sold separately. 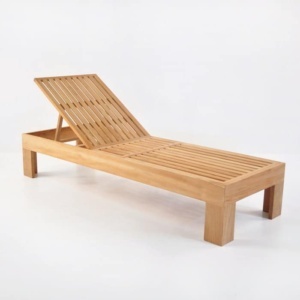 Bask in the sun with this popular resort quality Sunlounger. Built-in functions include a slide-out drink tray, adjustable knee lift, and adjustable backrest. Sun lounger cushions are sold separately.